Over half a year ago, I unintentionally started a quest for the best lemon tart (see #questforperfectlemontart on Instagram) and came up with my favourite options in 5 best lemon tarts in Hong Kong. I also extended the quest home and came up with a pretty decent recipe after several attempts. As the quest continues, I’ve encountered a handful more of very unforgettable lemon tarts that are definitely worth a try. Here’s my latest list of favourites. Cedele retains the top spot for making the most perfect lemon tart I’ve had in Hong Kong! The lemon curd has an extremely smooth and soft texture, while having a spot-on balanced taste between sweet and sour. The tart crust also tastes good, though is a tad stiff and hard. On return visits, the lemon tart still tastes amazing, though the presentation had sometimes been subpar. Cedele is located in Elements (West Kowloon), Infinitus plaza (Sheung Wan) and Tai Kok Tsui. 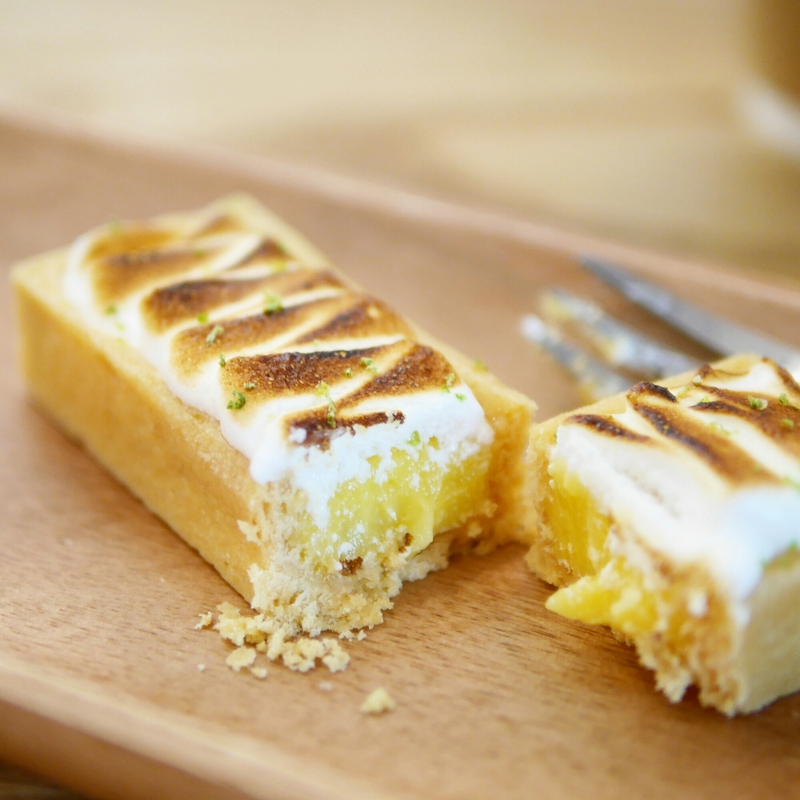 New favourite entrant to the list is the lemon curd tart with meringue topping from this relatively new coffee shop on Wellington Street in Central. The curd is smooth and soft, though the taste bears a relatively sweet rather than sour taste, which may be a good thing for most people who can’t bear lemon tarts being too sour. My sour tolerance is extremely high; I can pretty comfortably drink lemon juice without sugar! The bonus is that the coffee here will equally impress. I discovered this coffee shop using the Sugar mobile app and you can even redeem a coffee at a discounted price with the app. Check it out for more food ideas! Bakery Cafe Born to Bake is located on 73 Wellington Street, Central. Barista Jam was featured in 4 best cappuccinos in Hong Kong, clearly for making great coffee! Their lemon tart was also surprisingly delicious. The tart crust had a shortbread taste and crumbly texture; it’s less delicate and a little “rough on the edges”. The curd had a great balanced taste with a little more sourness to it and a pretty smooth texture. Barista Jam is located on 126-128 Jervois Street, Sheung Wan. Again, this place makes pretty delicious coffees too. The textures of this lemon tart was near perfection; the curd was super soft and smooth, while the tart was firm but not too biscuity. This place was featured in the old post at No. 2, but I bumped it down to No.4 mainly because the taste of the curd is very tangy (i.e. a lot more sour than the rest). Craft coffee roaster is located on 29 Tai Kok Tsui road, Kowloon. It’s a walk from Olympic station. The home-style Italian restaurant does not actually produce any lemon tarts, but their lemon cheesecake was so good that I had to feature it here too. The lemon taste very perfectly complements the light and creamy cheese taste, while the overall texture was extremely smooth and soft. All lemon tart-lovers will be sure to love this dessert too. Carbone is located on 9/F in LKF tower, Central. 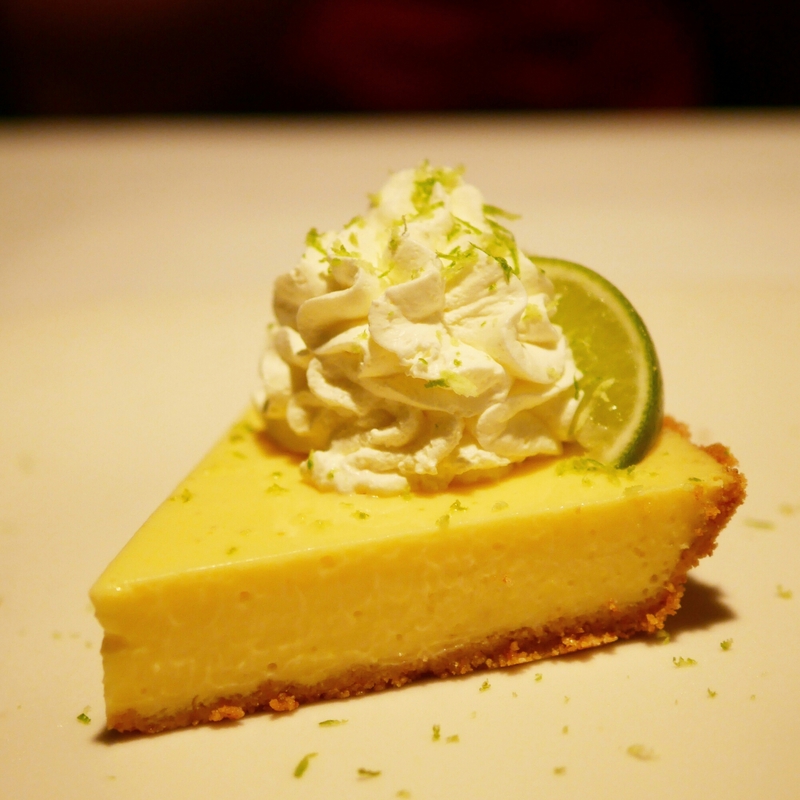 Morton’s Steakhouse’s key lime pie exemplifies good old fashioned food. 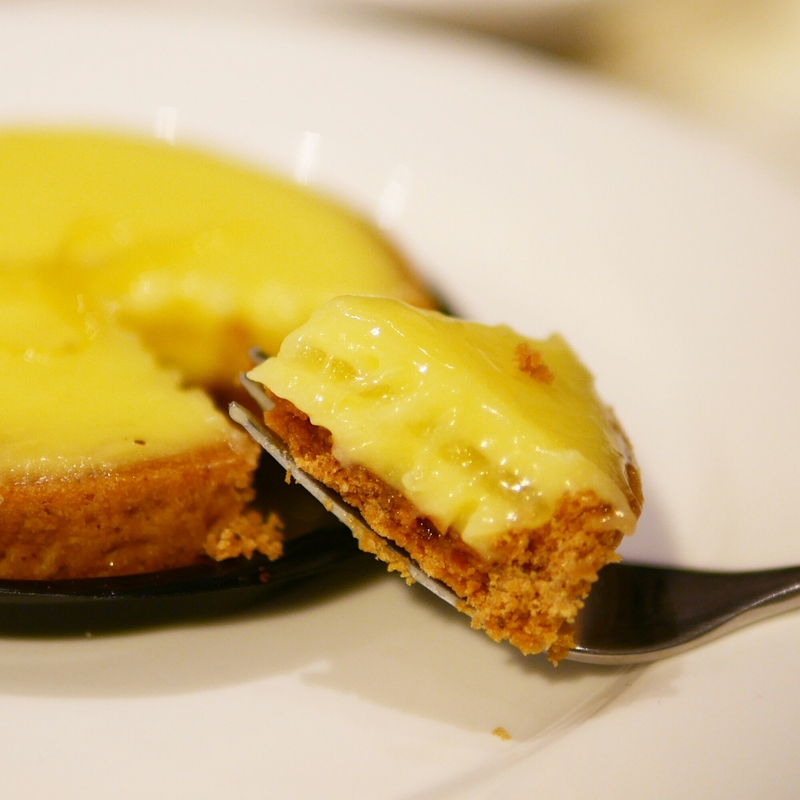 They serve a huge slice of this lime tart for HK$90 and it can definitely feed at least four people after a steak meal. The texture of the pie was very smooth and the lime taste very refreshing. And of course, their steaks are one of my favourites too! Morton’s Steakhouse is located on 4/F The Sheraton Hotel, 20 Nathan Road, Tsim Sha Tsui, Hong Kong. In line with its looks, the lemon meringue tart at Jamie’s Italian tastes very balanced and quite perfect. The curd was smooth, though just a tad firm, in a too-perfect almost commercially manufactured way. It was nicely topped with some orange zest which gave it a hint of twist and oomph. Jamie’s Italian (Hong Kong) is located on 2/F Soundwill Plaza II – Midtown, 1 Tang Lung Street, Causeway bay. After sampling three of their desserts during my brunch here and another two during a separate dinner, I confidently conclude that Blue Butchers know how to do desserts right! Among these, the lemon curd crumble was among my favourites. It’s essentially a lemon tart in a pot and would definitely do a good job of satisfying a lemon tart craving. The lemon curd is quite sour, although there’s a lot of crumble and burnt cream to cancel that out. Blue Butcher is located on 108 Hollywood road, Central.